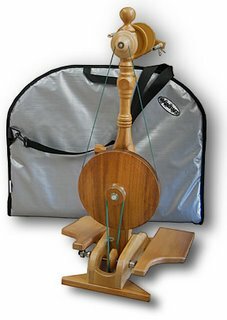 My new spinning wheel has arrived. It's a Majacraft Little Gem 2 and I got the matching folding stool to go with it. Have wheel, will travel!